Technology for Visible Thinking: Places to find images? I recently wrote a blog post about using Prezi to create Zoom Ins for the visible thinking routine. Below I discuss some resources which can be used to find images for image related visible thinking routines. Are two Visible Thinking 'Routines for Introducing and Exploring Ideas' that have students observe and think deeply about images (or objects). Find appropriate thought provoking content by searching in the following places. Flickr- you can find some really high quality thought provoking images on flickr. Flickr does not require you to sign up to search for images and you can find quality photos on any topic. One example of this was bought to my attention by Richard Byrne writer of Free Technology For Teachers (The Best Education Blog out there!) in his blog post Bad Math in the Real World. Byrne identifies The Bad Maths Flickr Group (Check it out at http://www.flickr.com/groups/badmaths/) which has some fantastic images of Bad Math (majority of currency images in British Pounds) that could be used in the See- Think- Wonder routine to get students thinking about why the maths in these photos is dodgy. Tumblr- photo blogs on anything and everything. Does not require sign up to search tumblr. Photo blogs with similar themes to the math mistakes are also available on tumblr. One example is Math vs Society. Tumblr is a little more hit and miss with the quality of images, when compared to Flickr, but if you find a blog with one photo that suits your needs it is likely that it will be a treasure trove jam packed full of goodies. The inbuilt search on the tumblr site is not the best so I find it very useful to search for tumblr blogs and images using google search. I simply add tumblr to my searches. 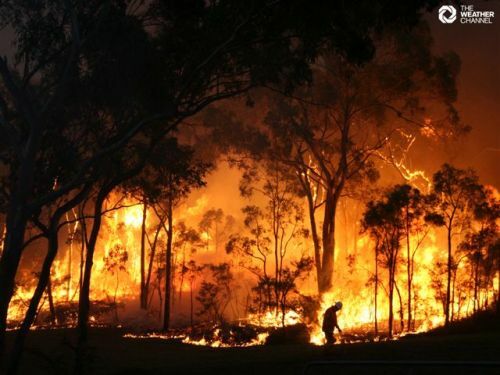 For example if i am looking for photos of bushfires for our inquiry topic of natural disasters I search for 'bushfire tumblr.' The result gave me all the photos #bushfire of tumblr but also a few dedicated blogs. One was BushFires which is a goldmine of photos and resources. google image search and google video search - a basic well known simple way to find images and videos. Flipboard- a flip magazine with a wide range of content including photos from various media. Available as a website, iOS app, and android app. theguardianEyewitness- Free option provides one photo per day that is relevant to news items or of general interest. Also available as a website, iPad app and android app. What is your favourite place to find images? Please leave comments.